A Timeframe is the production of a chart that is comprised by combining a series of individual price bars together through time, each with the same duration. 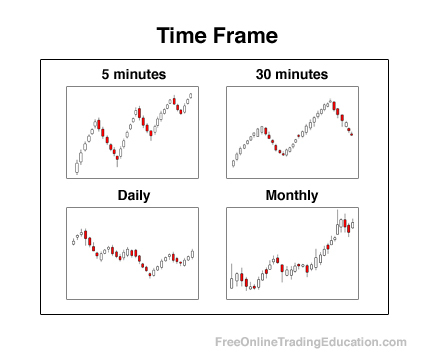 For example, a daily Time Frame refers to a chart that is made up of individual price bars one day in duration each. Practical Use: Technical analysts use different Timeframes to better understand the sentiment of a chart on a long and short term basis.